Glad to see another release. I'm curious as to why they would release a dvd featuring a theme around the beginning of baseball season in October. I would have liked (and expected) this one next February or March. I have the old Paramount DVD which my son watches quite a bit. I'll be picking this up anyway for the Charlie Brown and Snoopy Show. Thanks for the update Scott! They have been releasing a lot of these lately. Are there going to be anymore decade collections following the 1960s and 1970s sets? ie The 1980s, 1990s Collections? Sure it was hit or miss by then but it would great to have them together. 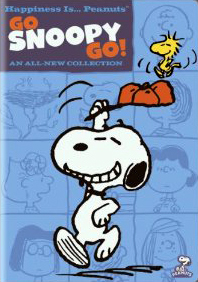 Unfortunately, Warners hasn't announced any plans to do "1980's" or "1990's" Peanuts DVD collections; it appears that they've decided to go the route of these individual releases instead. Which is too bad, I agree with you - having all the episodes released in a chronological set would be nice.